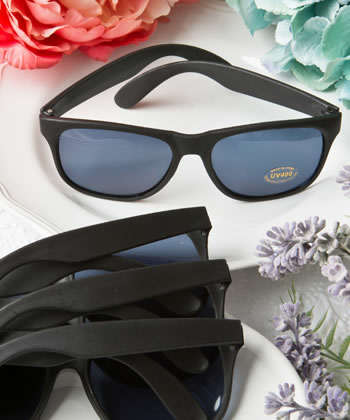 A novel gift that is as useful as it is attractive, trendy black sunglasses are party favors that all your guests will love. 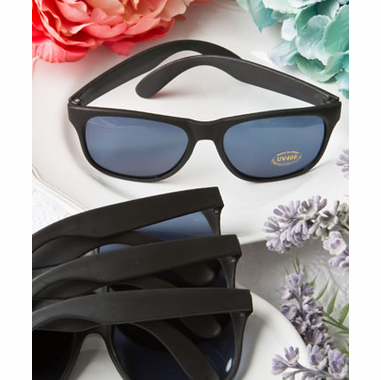 Available in a classic black design, with 400UV protection, your guests will find this gift their constant companion for all their outings in the sun! So affordable to use as beach party decorations, they measure approximately 5.25"W x 1.75"H and the lens sports a gold 400UV sticker. The plastic sunglasses are bulk packed in a poly bag.